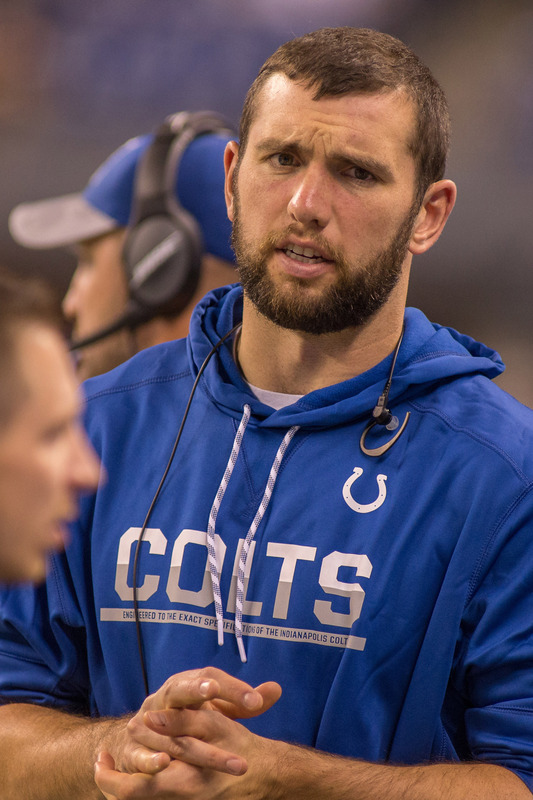 Andrew Luck will not practice this week, Chuck Pagano said. This marks three straight weeks the previously progressing passer has been shelved because of the setback he encountered. And the Colts are operating accordingly, Aaron Wilson of the Houston Chronicle tweets, noting the team is working out Connor Shaw, Matt McGloin, Matt Barkley and Josh Johnson on Tuesday. 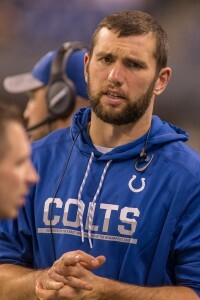 Luck will see multiple specialists for further evaluation on his troublesome throwing shoulder, and it’s possible he could redshirt this season. The Colts have Scott Tolzien as a Jacoby Brissett backup but could be looking for a third quarterback in case they end up placing Luck on IR. McGloin and Barkley have been summoned for workouts together previously this season, and Johnson was previously affiliated with the Colts. This is the veteran’s first known workout since the Giants parted ways with him. The Bears announced earlier today that they had waived quarterback Connor Shaw in order to create a roster spot for wide receiver Victor Cruz. However, NFL.com’s Ian Rapoport tweets that fellow quarterback Mark Sanchez suffered a knee injury today, and the team subsequently rescinded the waiver. Chicago, of course, has revamped its quarterback room this offseason: not only did the Bears sign two free agent signal-callers in Mike Glennon and Sanchez, but they moved up in the draft to select North Carolina’s Mitch Trubisky at No. 2 overall. 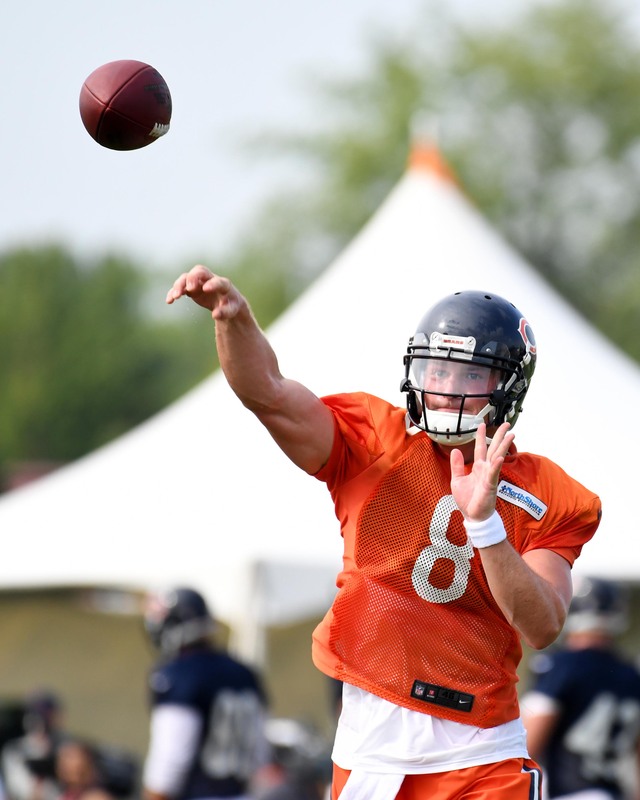 With Glennon and Trubisky set to take most of the practice reps over the next few months, the Bears likely didn’t see the need to carry a fourth quarterback on the roster. The Bears originally acquired the 25-year-old Shaw off waivers from the Browns last summer. Shaw, who has one career start under his belt, subsequently broke his leg during the preseason and spent the entire 2016 campaign on injured reserve. Shaw will now see third-string reps during OTAs as Sanchez recovers from his injury. Sanchez has only appeared in 15 games over the past three seasons, including a pair of appearances with the Cowboys in 2016. Over that span, the 30-year-old veteran has completed almost 64-percent of his passes for 3,127 yards, 18 touchdowns, and 17 interceptions. Adam Jahns of the Chicago Sun Times reports (via Twitter) that Sanchez is expected to be ready for training camp. 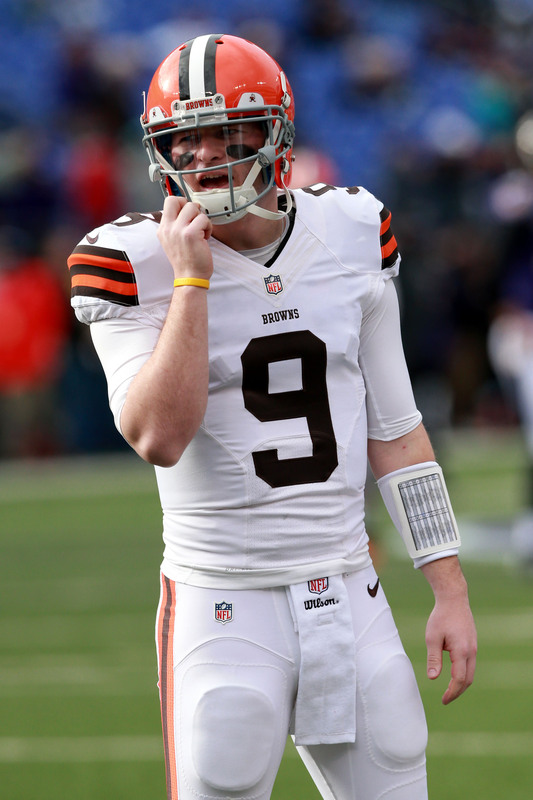 Connor Shaw left Soldier Field in an ambulance today after breaking his right leg, Ian Rapoport of NFL.com reports. Shaw suffered the injury during the fourth quarter of the Bears-Chiefs game. Vying for the Bears’ third-string quarterback job behind Jay Cutler and Brian Hoyer, Shaw could now be an IR candidate. Although, Rapoport notes Shaw suffered the break above the ankle and did not sustain any ligament damage, so he could return this season if Chicago saw him as valuable enough to keep on the active roster. But Shaw missed all of the 2015 season with a thumb injury and spent the year on the Browns’ IR. This latest development certainly points to another lost season for the former South Carolina passer whom the Bears claimed on waivers from the Browns last month. Chicago has 2014 sixth-round pick David Fales on its roster, so keeping him as the third-stringer would be logical despite the third-year passer not having any game experience. The team also houses 27-year-old backup Matt Blanchard, who has also never played in a regular-season game. The 24-year-old Shaw came to Cleveland as a UDFA in 2014 and started a game that season for the Browns. Despite cutting Johnny Manziel as well this offseason, the Hue Jackson-led team parted ways with Shaw as well, leading him to Chicago. The Seahawks also tried to claim Shaw this summer but sat behind the Bears in the waiver-priority hierarchy. 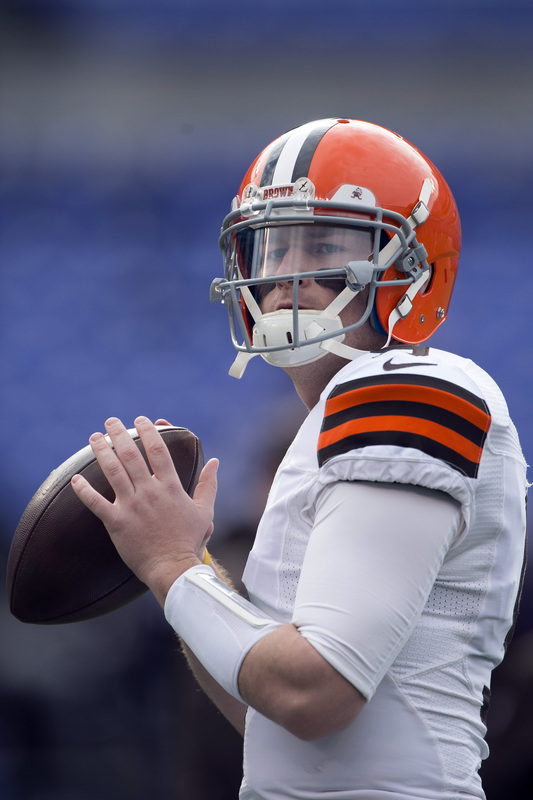 The Bears and Saints weren’t the only clubs that attempted to claim quarterback Connor Shaw off waivers from the Browns, according to Nick Underhill of the Advocate, who reports that the Seahawks also placed a claim on Shaw. Chicago ultimately ended up with Shaw after New Orleans inadvertently emailed every NFL team — instead of only the league office — and accidentally tipped off other clubs about their plans to acquire Shaw. Seattle doesn’t boast much in the way of experience behind starter Russell Wilson, and longtime backup Tarvaris Jackson doesn’t figure to be re-signed after being arrested following a domestic violence incident earlier this week. Undrafted rookie free agent Trevone Boykin — who is dealing with legal issues of his own — is competing with Jake Heaps to act as the club’s backup quarterback, and neither of the pair have ever appeared in an NFL game. The Seahawks’ lack of options at reserve quarterback led me to list Seattle as one of several clubs that could have interest in acquiring Rams signal-caller Nick Foles, though I did note that it wasn’t clear whether Los Angeles would be willing to deal Foles to a division rival. But clearly, the Seahawks are looking to add another arm before training camp begins. Jackson was probably the most qualified of the remaining quarterbacks on the market, but Michael Vick, Charlie Whitehurst, T.J. Yates, and Josh Freeman are still out there as well. Shaw, who will be 25 years old during the upcoming season, has just one career NFL appearance to his name. He started the final game of the 2014 season for the Browns, completing 14-of-28 pass attempts for 177 yards and one touchdown in a loss to the division rival Ravens. Expected to compete for Cleveland’s No. 3 quarterback job in 2015, Shaw suffered a thumb injury prior to the regular season, and was placed on injured reserve.